On Saturday, in the Western Premier League, Stafforce Dumfries lost their away match at Uddingston despite a good bowling effort to restrict Uddingston in the first innings. Uddingston were well placed at 89 for 2 at the half way mark after Gul top scored with 31. However, on that score, the Solway Offset Dumfries Man of the Match, Scott Beveridge, took two wickets in an over and Peter Lojszczyk claimed an lbw. Thereafter the bowlers were able to restrict the batting side to 149 for 9 with Chris McCutcheon and Niall Alexander each taking two wickets. 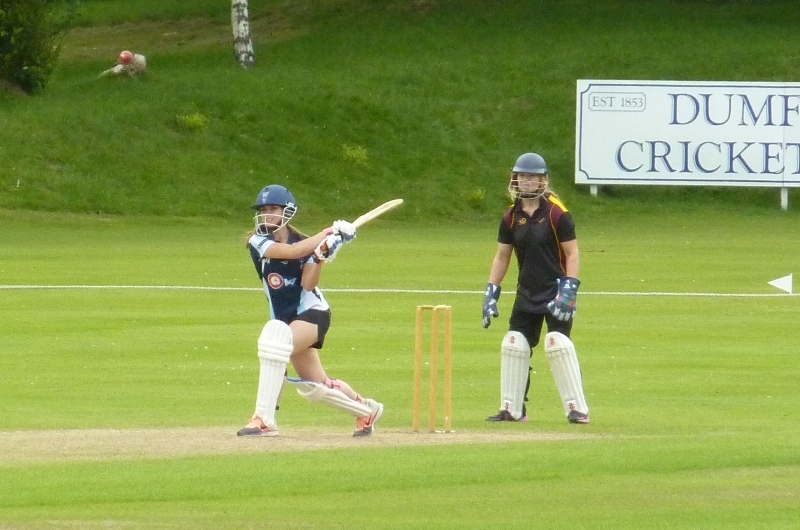 However Dumfries lost three early wickets inside six overs and never really recovered. Chris Bellwood then hit 26 but became one of McKenzie’s five wickets. Chris Brockwell scored 23 to keep the run chase alive but the side were finally all out for 110 in the 35th over. In the Western Premier Reserve league, Eco-Genics Nuhnolm overcame Uddingston 2nds, Bothwell, at home. Nunholm only set a total of 115 all out with the Silver Fern Horticultural Man of the Match, Cammie Telfer, helping to set a target with his 23. 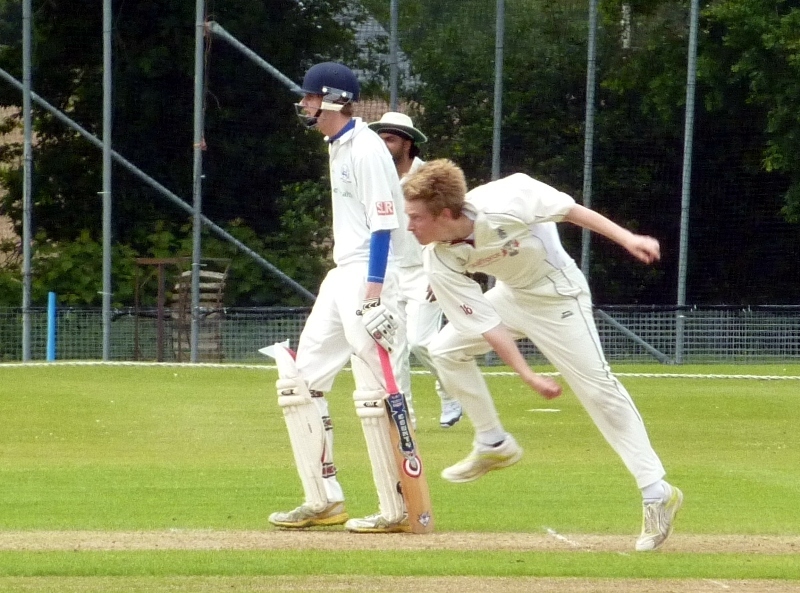 However those runs did prove enough as the Nunholm bowlers reduced the visitors to 38 for 6. Gei Singh took three of those wickets and Fraser Strachan dismissed top scorer McLeod with his first ball. Then Davie Davidson followed up with three more and Stuart Alexander finished with two as Nunholm were comfortable winners with Bothwell all out for 80. This Saturday, in the league, Dumfries play Renfrew at home and Nunholm play at Deanpark. Womens’ Cricket: On Sunday, at Nunholm, Dumfries Women beat Galloway Ladies in a close friendly match with Ally McCubbin the Parkdale Garage Dumfries Player of the Match for her innings which put her side in a position to win. New players are welcomed and for more information about trying some womens’ cricket as a new sport contact dumfriescricketclub@gmail.com or 07799 856094. Junior coaching sessions at Dumfries Cricket Club take place over the summer on Mondays, 6:15-8, for boys and girls, suitable for ages 8 to S2. For details contact Trefor Williams on 01387 256455, see www.dumfriescricketclub.co.uk, or come along to Dumfries Sports Club, Nunholm on the night.